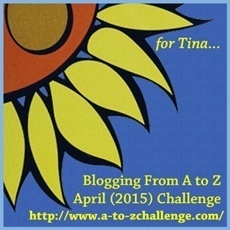 For this year's A-Z Challenge Terri Giuliano Long has chosen the theme of writing tips. 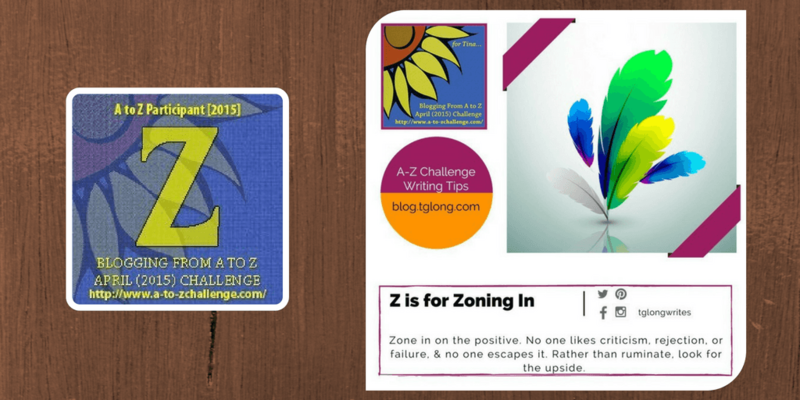 The challenge concludes with Z is for Zoning In. 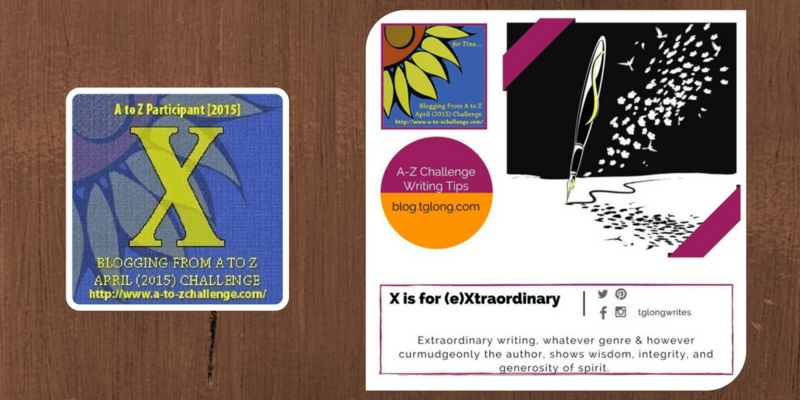 For this year's A-Z Challenge Terri Giuliano Long has chosen the theme of writing tips. The challenge continues with Y is for Yes. 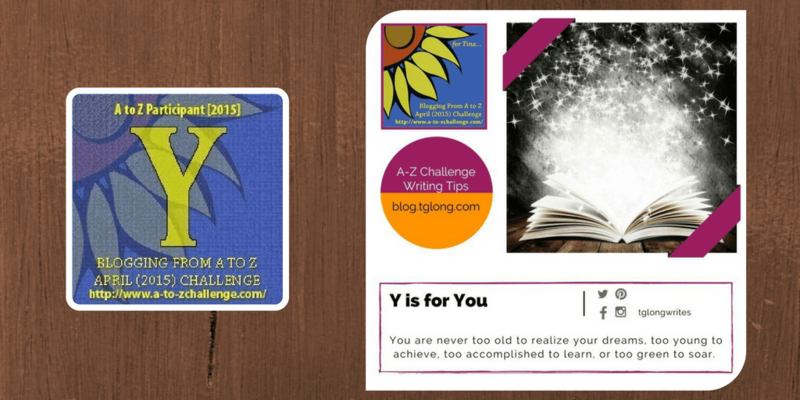 For this year's A-Z Challenge Terri Giuliano Long has chosen the theme of writing tips. The challenge continues with X is for (e)Xtraordinary. For this year's A-Z Challenge Terri Giuliano Long has chosen the theme of writing tips. 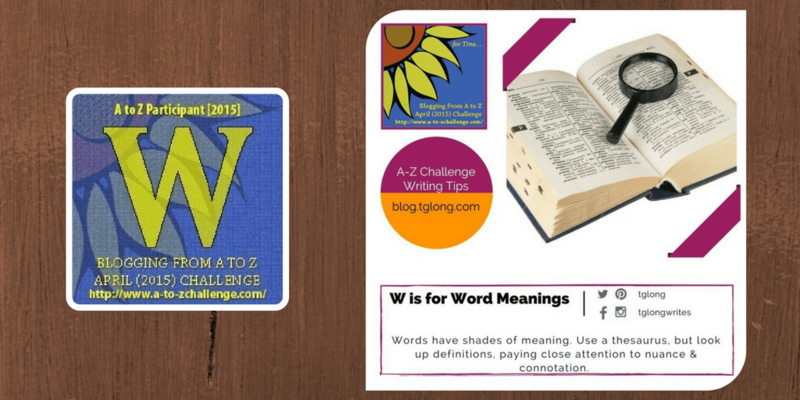 The challenge continues with W is for Word Meanings. For this year's A-Z Challenge Terri Giuliano Long has chosen the theme of writing tips. 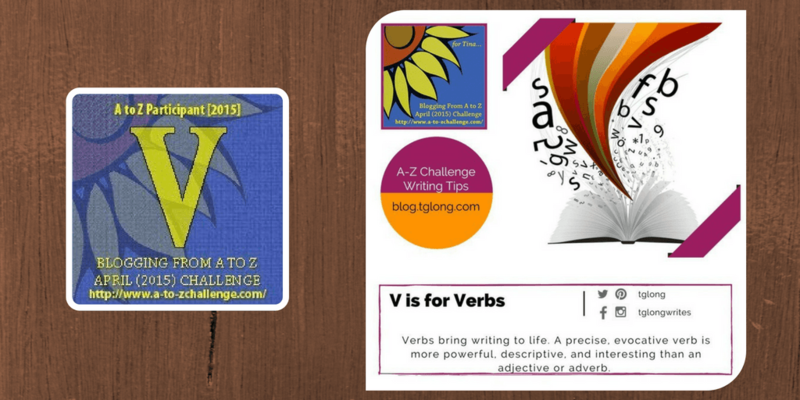 The challenge continues with V is for Verbs.